Wood shingles and shakes are made from cedar, redwood, or less often pine. The difference between the shingles and shakes is that shakes are handmade or sawn on one side only to look rougher, whereas shingles are sawed by machine. These provide a classy natural look to a roof besides imparting a woodsy aroma about the home for a time. However, they are very expensive compared to asphalt shingles. Shingles cut from knot-free heartwood western red cedar comprise the higher life expectancy of wood shingles and shakes because of its natural resistance to decay which also makes them more expensive. Some communities require that wood shingles and shakes be pressure treated with a fire retardant prior to installation because of increased fire hazard. The life expectancy of wood shakes and shingles, depending on type and climate, is about 8 to 25 years. Shingles cut from knot-free heartwood western red cedar comprise the higher life expectancy of wood shingles and shakes because of its natural resistance to decay which also makes them more expensive. Pine shakes are made from southern yellow pine and they are usually a narrower cut then other types of wood. However, untreated pine is very susceptible to rot inducing fungus giving this type of roof a much shorter lifespan- most contractors don't offer them untreated. Redwood shakes are naturally fire resistant, rot and insect resistant. Redwood color changes are caused by sunlight and water, and different areas of a house are exposed to different amounts so they will vary in color. Plus, the ingrained variations of color and texture within redwood will also produce an infinite color spectrum. Wood shingles are pricey at 400 to 700 per square, installed whereas Asphalt shingles on the low end can cost 200 to 400 per square installed square. The average Residential roof needs between 22 and 34 squares to install a new roof. How to determine the total costs of repair or replacement? First, we’ll address the absolutes (problems that need fixing). Next your plans and desires will factor in. The result is unique for every client, and we will provide you with estimates for the bare bones repair or replacement as well as upgraded plans. The beauty of wood shingles for an older historic home is more in keeping with the history of the home than asphalt shingles. They don’t look flat like an asphalt roof- truly a beautiful 3-dimensional look. Some premium asphalt shingles are made to look like wood shingles which make a better choice for some property owners that may restrictions due to fire hazards. Lifespans for cedar wood shingles, assuming a quality installation and moderate climate, is 25 to 35 years. In a wet climate, a wood roof would be more prone to rot, insect damage and mildew so would not have a very good lifespan. Impact resistance depends on the quality of the wood shingle. some, light in density, could be very prone to shrinking and swelling as the weather changes, and all those changes increase cracks from impact to due hail or other items blowing in the wind. Fire resistance is not good and wood shingle roofs are banned in some areas. However, they can be treated by the factory to be fire resistant. Moisture is the destroyer of wood especially when it seeps under the shingles. 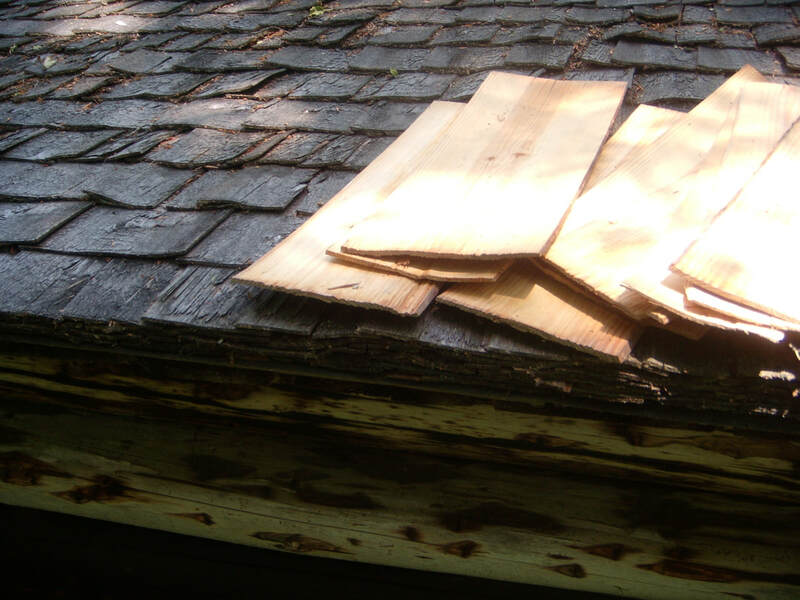 Wood shakes or shingles that are curling, cracking or broken off should be taken care of right away. Trees should be trimmed to keep overhanging branches away from the roof. This will cut down on the amount of leaves, small branches, and other tree debris. When leaves and other debris land on the roof from taller trees surrounding your property, it should be raked off as soon as possible. Wood needs to breathe to stay dry so masses of tree debris will make it rot faster. In areas of high humidity, there are pressure-impregnated preservative treated shakes and shingles which guards against moisture and fire but of course they are more expensive. Wood roofs can be sprayed with a treatment that is a water repellent, UV inhibitor, and/or EPA registered wood preservative. However, there are many false claims that these sprays will waterproof and act as a fire retardant for your roof- take care and research the companies that offer such products. Also prevent pest damage with ant exterminator Chesterfield VA.
​Richmond Virginia Roofing will without cost or obligation come and inspect your roof, at your convenience. 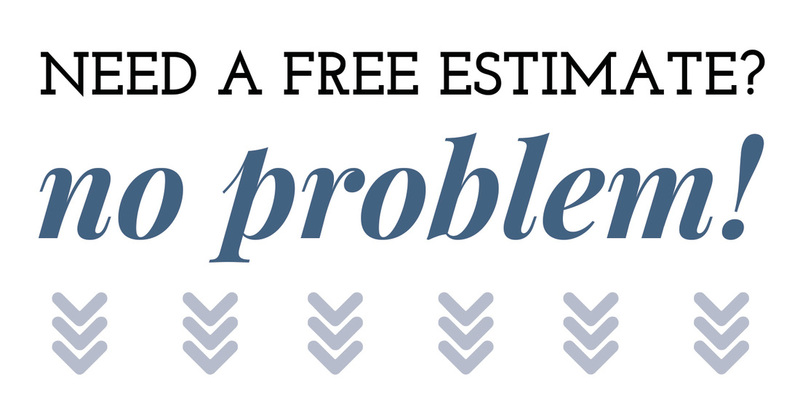 A few days later we will provide you with a written evaluation and itemized cost of repair or full roof replacement.